I like coffee, I love coffee… I would sell my soul for coffee. Yep definitely took it too far there but I do really enjoy going out for a decent cuppa. I am a serious coffee snob and my heart breaks a little when I get a bad one. 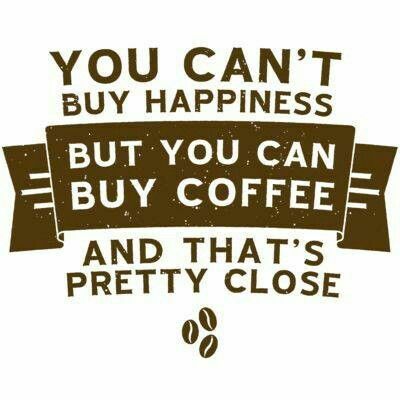 I don’t drink a lot of coffee, it is definitely quality over quantity. I think I travel sometimes just to try out different coffee shops. It actually would be no word of a lie to tell you that shortly after checking into any hotel next on the list is a skim through trip advisor to suss out where I am taking my first coffee stop. Having been travelling to Bali for the past 7 or so years I have to say every time I come here the coffee gets better and better, with so many amazing little coffee shops opening up over the place. Canggu is the final stop on my two month Indonesia adventure and I have definitely saved the best for last. This place knows its coffee! Good coffee, although the little platter it gets served on is novel, after about the 2nd or 3rd visit it loses the excitement and ends up taking up too much room on the table. Cool vibe here, a hangout for lots of yogis, entrepeneurs, and writers. This place gets a lot of good reviews from what I have seen and they definitely pack some caffeine into their coffee. Halfway through my coffee I had to do a mad dash to the bathroom, it was far too strong for me! If you like yourself a strong coffee.. this place is for you. Seriously delicious coffee. It is an awesome dark hipster joint with a wicked vibe. Love it. This is the place to be in Canggu. 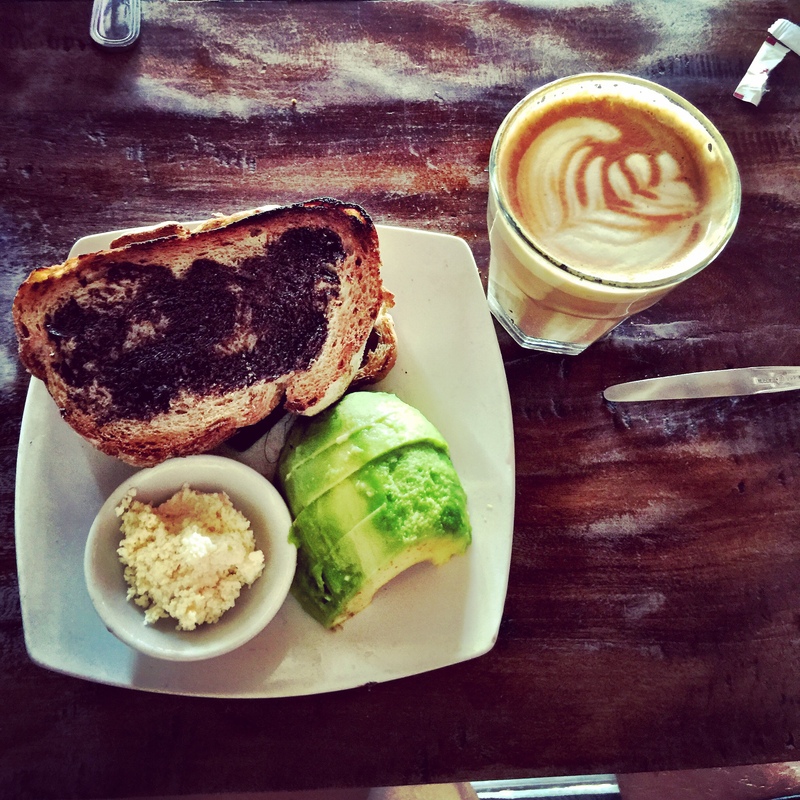 The coffee is great, and they have Vegemite. At this stage of my trip that is a definite drawcard. This coffee is the bomb. It is always bumping here and the staff are really friendly. They do the most epic little pictures in their coffees. They use the aforementioned revolver coffee. This cafe has an awesome layout and its always really busy. They have a rewards system if you are sticking around long enough (which everyone in Canggu seems to be). Side note: their chia pudding will blow your mind. 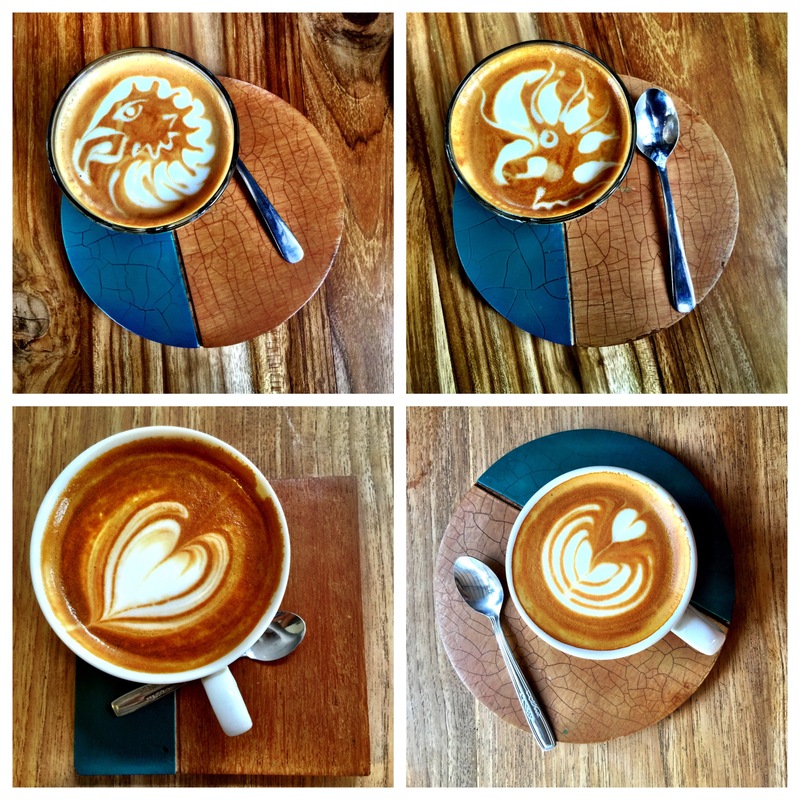 So thats some of the fruits of my labour, coffee touring around Bali. Twelve more days to go and I am really looking forward to trying some other little quaint coffee shops I have seen on my scooter travels. They are going to be pretty hard to beat! 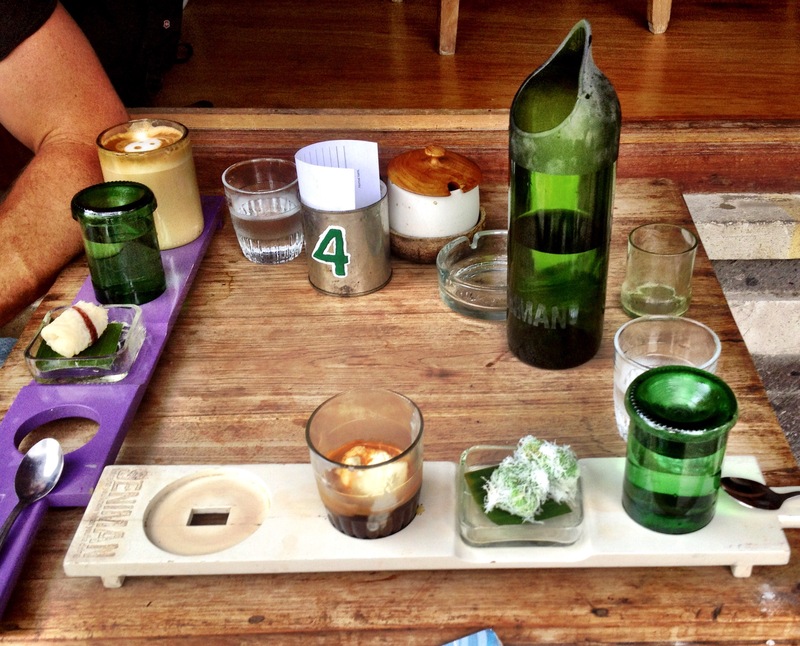 This entry was posted in Uncategorized and tagged bali, canggu, coffee, food, seminyak, ubud. Bookmark the permalink.